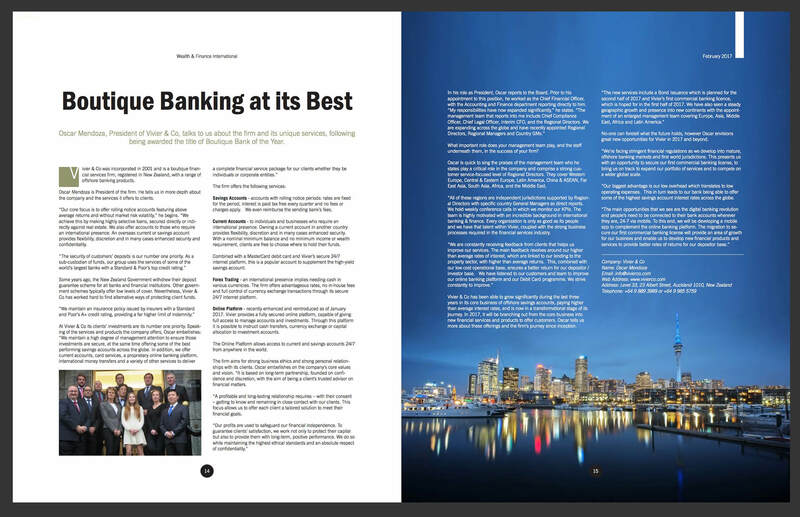 Let’s take a look at the future of banking with Vivier, your financial services provider. The Regional Director of Vivier Financial Services, Yuji Iwasaki gives a brief overview of the company and its future strategy. What makes Vivier & Co different from other banks? The former president of Vivier Financial Services, Oscar Mendoza talks about major things that differentiate Vivier from other financial institutions.